Lg. 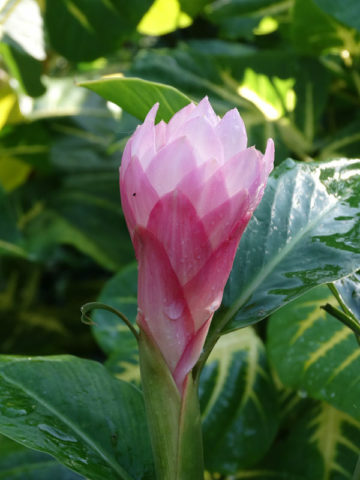 Jungle Princess Ginger Plant (alpinia purpurata) – Large erect flowers with overlapping light pink bracts that form a conical shape house small tubular white flowers. 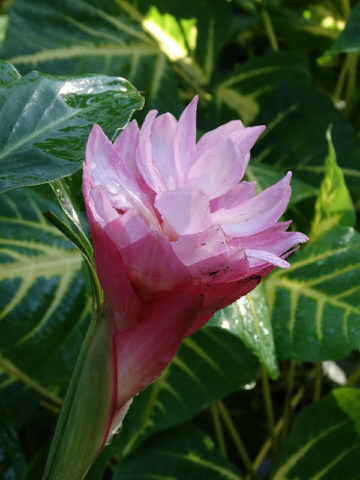 This tall plant with oblong leaves stands 3 to 15 feet tall with a flower spike of 6 to 12 inches. Moisture loving Alpinia will enjoy the slightly shadier regions in the landscape and form tight yet elegant clumps with draping long leaves that are very aromatic when bruised. Note: Before leaving, Alpinia Ginger are inspected, watered, and pruned. Larger plants, generally those that ship in 8″ pots, will be topped to 36″ or 48″ overall, depending on the variety, if necessary, to facilitate shipping. Your new plants’ pot is then bagged to ensure that the soil stays in the pot and not loose in the box. Plants are tissue or kraft paper wrapped and generally secured in place with natural biodegradable peanuts. You may want to order your Lg. 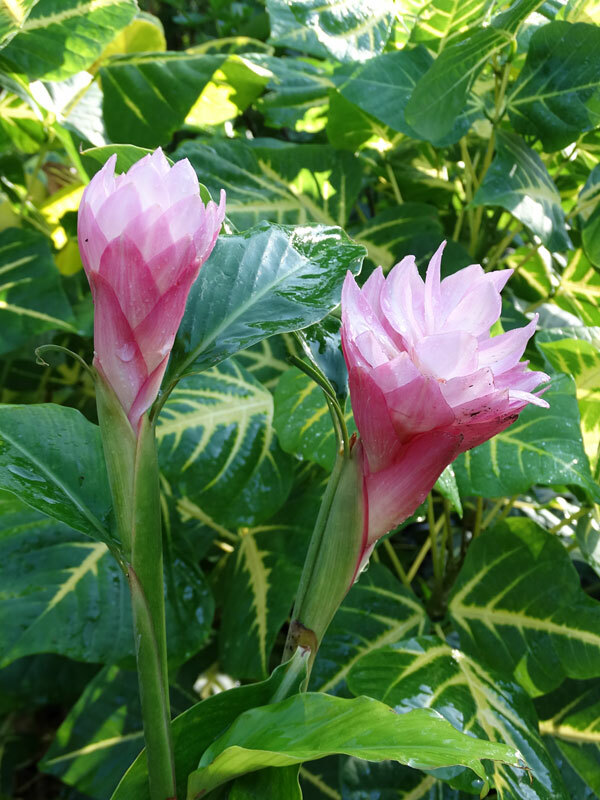 Jungle Princess Ginger Plant (alpinia purpurata) online now while they are in stock, supplies are limited.